The brainchild of the dynamic duo & NZ Burlesque Super Stars Ruby Ruin & Bonita Danger Doll, Grand Tease New Zealand is a burlesque competition designed to celebrate the variety of burlesque within New Zealand and create a positive platform to support the talented burlesque scene. 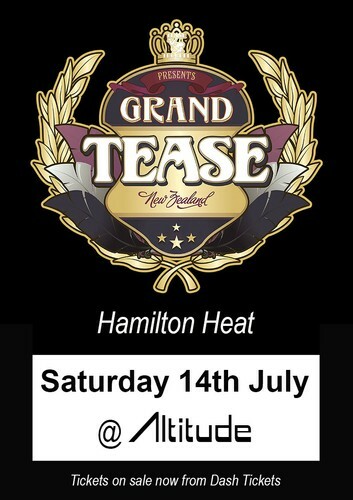 Grand Tease Hamilton will feature a fabulous lineup of stellar performances from burlesque artists across the top of the North Island! Who will be the Grand Tease of Hamilton? !